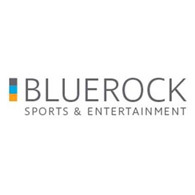 We are BLUEROCK, specialists in maximising profit from venues and events. Our team have worked on over 30 venues over the last 20 years as well as major tournaments such as The FIFA World Cup™ and The UEFA European Championships™. We work with our clients to help them deliver the ultimate experience for fans, players and corporate guests in a financially sustainable way. Our areas of expertise include venue and event management and all aspects of income generation, including sponsorship, premium seating, hospitality, catering and ticketing.